୧୨ A cup of coffee for you! ୧୪ A barnstar for you! ୨୦ Gup chup for you! ୬୩ 27 Communities have joined WAM 2018, we're waiting for you! ଆଇ ଜି ପାର୍କରେ କାଲି କେତେବେଳେ ହବ ମିଟିଂ ଆଉ କିଏ ସବୁ ନୂଆ ଆସୁଛନ୍ତି ? Here are some recent updates for you, and as always, let me know if you have any idea, thought or question. 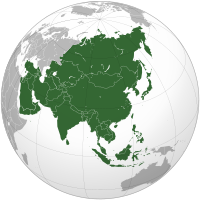 IMPORTANT: Asian Language Wikipedia will exclude the language speaking country from the Asian Month so we can encourage editors write something about other part of Asia. E.g., Chinese Wikipedia will exclude Mainland China, Taiwan, Hong Kong, and Macau. Indian language Wikipedia will exclude India. If you have problems with that, please let me know. I've posted the tool instruction and newest postcard rules on each Wiki' event page. Make sure you translate it. In short: 4 articles get one card, 15 get another one (Special one), and the Ambassador gets another one. We will still allow two Ambassadors if top and second contributors have more than 30 accepted articles, just like last year. Please send this information to high-quantity participant to encourage them. Please create this talk page template and linked in Wikidata. Judging tool will add this template to submitted articles automatically. The judging tool should work fine. If not, talk to me. Optional: Judging Tool Interface may not available in your language. If you feel needed, you can translate the interface at here. Invite some active contributors from your wiki to participate. And please encourage editors who can speak more than one language participate to other WAM edition. Indic Community: CIS-A2K will provide fund if you would like to organize an offline event of Wikipedia Asian Month. Apply at here. Additional souvenirs (e.g. Stickers, bookmarks) will sent to Ambassadors and active organizers. I'm doing some basic statistics at Result page every week, in case you are interested. International organizers will double check the top 3 users' accepted articles, so if your articles are not fulfilling the rules, you might be disqualified. We don't want it happened so please don't let us make such a decision. Rest of Global top 10 users will also get some WAM souvenirs. As many of you may notice, that the judging tool has came back to normal. I've set up a result page with some numbers in it. It may not accurate, just as a reference at this time. WAM should get more media coverage. If you can help (either locally or internationally), please let me know! Please considering start judging articles if you have not yet. it's really important to give feedbacks to participants so they can improve articles or get motivated. With your help, I may start the first round of address collection before WAM ends for who already have four accepted articles and organizers, as I promised to improve the postcard sending process this year. Feel free to reach out to me for any question! At my meta talk page. Congratulations! The Wikipedia Asian Month is almost ending and you've done amazing work of organizing. What we've got and what's next? If you can not submit articles via judging tool, use this meta page to do so. Please spread this message with local participants. Make sure you judge all articles before December 5th, and participants who can improve their contribution (not submit) before December 10th. There will be three round of address collection scheduled: December 2nd, December 7th, and December 20th. Please report the local Wikipedia Asian Ambassador (who has most accepted articles) on this page, if the 2nd participants has more than 30 accepted articles, you will have two ambassadors. I will announce the name of Wikipedians who will able to pick a Wikimedia T-shirt from Wikimedia Store for free after I re-check their contributions. It could be a case that local organizer does not agree on an article if shall accept it or not. In this situation, the judging tool will highlight the conflict articles in the "article's list". Please review other's opinion, and resolve the conflict by changing your decision or discuss with other judges. We are starting collecting address! Please fill this form to receive an additional postcard as being a WAM organizer. You may receive this message because you on the receipt list. You don't have to fill the form if you are not organizing this year. This form is only accessed by me and your username will not distribute to the local community to send postcards. All personal data will be destroyed immediately after postcards and other souvenirs are sent. Please help your local participants in case they have any problem understanding the survey. If you have any question, feel free contact me on my meta talk page. You can remove yourself from the list at this page.